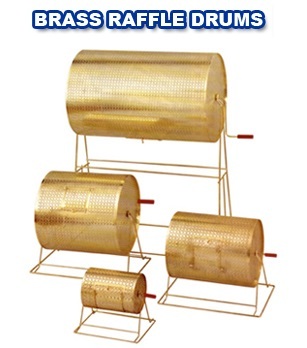 You can choose from five sizes of Brass-Plated Raffle Drums and three sizes of Acrylic Raffle Drums. Our Raffle Drums are precision crafted for fluid rotation / thorough ticket randomization. They range in ticket capacity from approximately 2,500 to 20,000. We also carry Single and Double Roll Raffle Tickets and Raffle Ticket Dispensers. 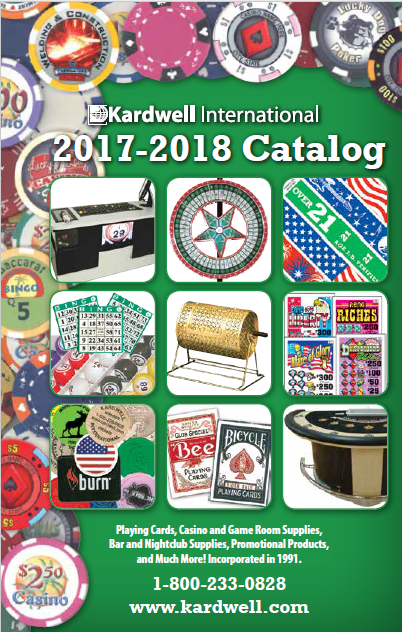 Feel free to visit www.kardwell.com for our complete selection of gaming and fundraising supplies.